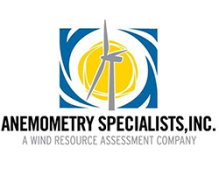 Anemometry Specialists is recognized as one of the leaders in met-tower installation services. Our experienced technicians have installed over 1,800 met towers in 35 states and 16 international locations. We have several experienced installation crews that are available and trained to install in a variety of climates and in remote locations. We adhere to strict quality control procedures and installation documents so that all of our tower installations meet or exceed industry standards. The towers are equipped with sensors and dataloggers to collect wind data at various heights to ensure suitable wind speeds for wind-energy projects. Anemometry Specialists installs tilt-up met towers up to 80 m in height, guyed lattice towers up to 120 m in height, self-supporting lattice towers up to 80 m in height, and self-supporting monopole towers up to 80 m in height. Multiple anchor methods are used to secure the towers, based on the ground conditions and terrain. 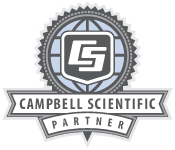 We also perform custom power-performance test-tower installation and installation of specialized sensors, wildlife diversions, fencing, and FAA-approved lighting and remote solar-power systems.